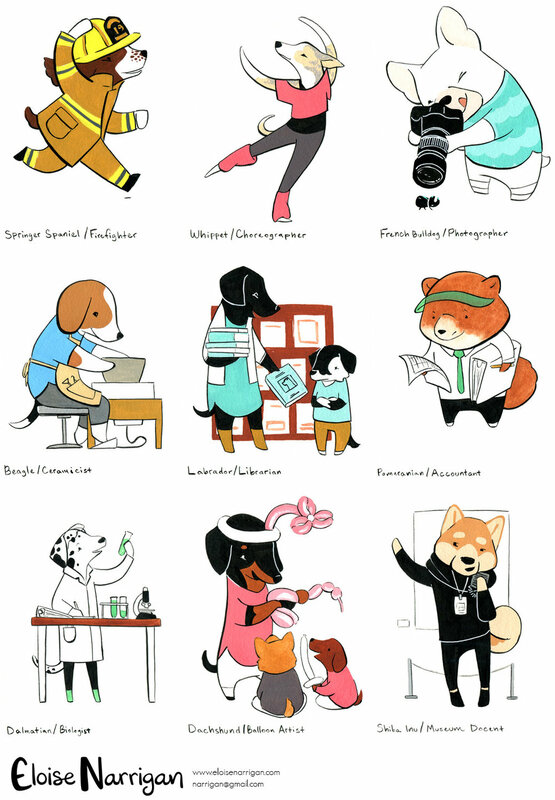 Selected illustrations from my January 2017 Dogs with Jobs series. See all 31 paintings on my Instagram under #dogswithjobs. Prints are available through Society6.